If you run a carpet fitting and flooring company small or large Flobot is software designed for you. Don't get confused with design software and CAD, this is business software that allows you to manage your customers, your employees, your contractors and your office staff. Manage your fitters' diary, take instant payments and build quotes for new carpet installations. Make a template, then build a quote for every type of floor in seconds and send it to your customer instantly. Take a deposit for the client card. Once you have fitted the car[et take instant payment from the client signature. Schedule you appointments for quotes and for jobs. See where your fitters are all the time on the map. Keep details of all your customer interactions, phone numbers and email addresses to use again. 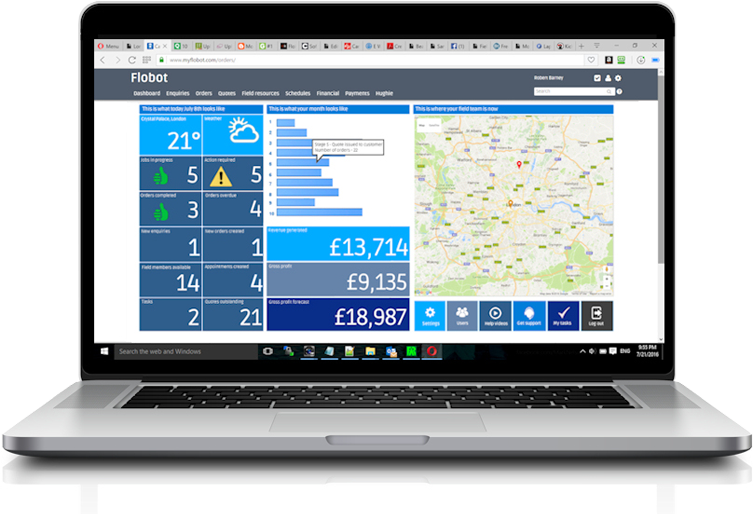 What sets us apart is our ability to customize Flobot to your flooring business's exact requirements with bespoke coding, allowing you to have your own 'instance' of the software - a fully tailored software package created just for you. No-one else offers that service at a price that anyone outside a blue-chip can afford. Talk to us about it. So why do I need software for my flooring business? You've finished the job and fitted the floor - so why should you have to wait until the customer decides to pay? Take back control of the payment cycle. If the customer is happy why not take instant payment? That way you don't have to go home, create and send an invoice and chase for payment at the end of the month. As the payment is tagged to the customer details, there is no paperwork to do at all! Know when carpets are being delivered. You might be one carpet fitter or a major flooring company with several, it makes no difference to Flobot. You need to know when you are quoting and when you are working. Colour codes for both help you manage your day. And it helps to keep your customers informed of what you're doing too - automatically send them a text and an email confirming the appointment. It looks professional and it will win you more business. .... with the information of what to do when they get there. Once the customer's address is in the system fire up your tablet and let the navigation system take you right to the door. You can even let them know you're on your way with the 'I'm on route' button. Keeps your customers informed all the time. Right from the start of the job to the end. Carpet fitting can be a relentless round of quotes, jobs, ordering carpets, sending invoices and chasing for payment. And it's competitive with bob-a-job slashing prices to fit carpet the customer has bought from the interent themselves. You need to raise your game to keep your margin and offer a better service than the last man off the boat. Flobot gives you the edge, saves you time and makes you look professional. Your life is hard enough, so make it easy. Now go and book a demo before someone eats your lunch for you. Flobot keeps a record for ever of the colour, cut sizes, manufacturer and product, so you always have a record of what the customer ordered. That means you always have evidence in a dispute about colours and you can easily share this information with the fitter on the job (in the app) and with the supplier (send it by email). Build very quick quotes for your clients at home, in the office or even at the customer's property. Flobot can store all your materials, fitting, parking, waste disposal prices - both what you buy and sell them for, then send a quote instantly that can be accepted online. A deposit invoice sent and a payment made directly into the system. Amazing! Flobot Field is designed to get your floor fitters to the right job at the right time - and to let them know what to do when they get there. Navigate from job to job by utilizing the built in maps function then send that information to your client so they can see where your guy or gal is on the map with an estimate of the time of arrival - just like Uber. Flobot app sends all the field data back to the office so you can see where all your fitters and what they are doing (or not!) at any time. 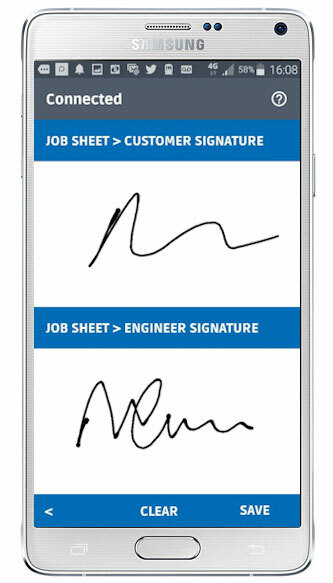 Create a project sheet right from your quote that displays in the app that tells your fitter just what they need to do at the job. Attach your 3rd party floor design apps for example to the job sheet and then get the all important signature for the office so they can bill straight away - or create an invoice in the field. Send the cut sizes, type and colour of the carpet direct to your supplier. Saves a massive amount of time. Flobot works on any device, laptop, PC, tablet or smart phone and as it is browser based and hosted in the cloud, if you don't want to use the app or need the extra features found on the system you can always access it through a browser in any device. And what's more Flobot is completely customizable to your own brand. In fact, Flobot is the only field service property maintenance software that you can 'white label'. 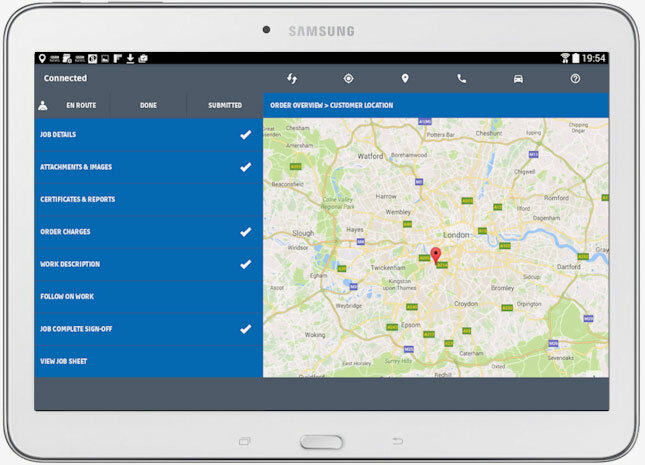 So, your customers and contractors need never know that you didn't build your own bespoke field service software - you can even have your own version of the Flobot Field app in the Google Playstore!